Since autumn 2014, we have been the 4th generation in the business, supported by a motivated 20-person team. Together we will do everything in order to please you as a guest and customer and to lead the traditional company gently into the future. Four generations have developed this family business for over 100 years. 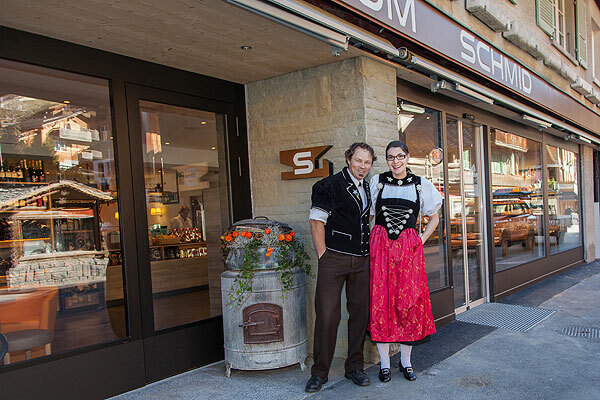 It all began in 1915 with a small bakery in Ausserschwand. The expansion began in 1936. Founder Adolf Schmid built a large house at the present location, where a guesthouse with a confectionery and pastry shop and «Liquor-Stube», along with a covered terrace, found its clientele. The 2nd and 3rd generations, the Schmid-Blum and Schmid-Grossenbacher families, continued to develop and consolidate the company.